Recovering or refelting your own pool table can be a rewarding project. It can also save you a lot of money. The primary key to success is simply knowing a few tricks of the trade. 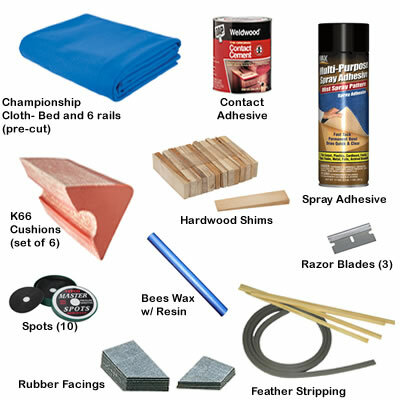 The supplies needed can all be found in our recovering kit. This how-to guide will give you the knowledge to complete the job successfully.